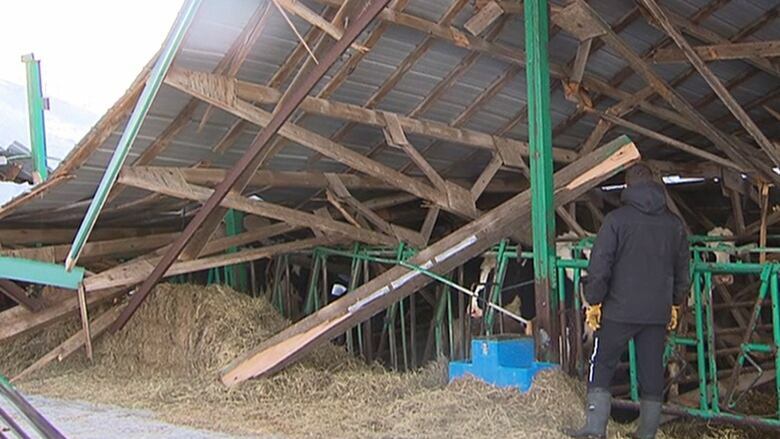 The owner of a barn that collapsed on his herd of dairy cows Saturday was still in disbelief hours later as he recounted the story, explaining that his habit of changing the clocks early is likely what saved his animals' lives. Despite having been recently cleared, weight of new snow brought the barn down Saturday in Mirabel, Que., just north of Montreal. Farm workers, with the help of firefighters, were able to rescue all of the cows and the animals have since been relocated to a nearby farm for safe keeping. Christian Castonguay, owner of the barn, said he traditionally sets his clocks forward during the day rather than overnight and he adjusts his herd's feeding schedule accordingly. Just before the roof collapsed, he and his workers had begun feeding the cows hay. "They had all moved to the front when the building fell toward the back, except for a small section," he told Radio-Canada. "We cut the barrier and they were able to get out, but one was trapped in the back. I was very worried because it was trapped for at least two hours." 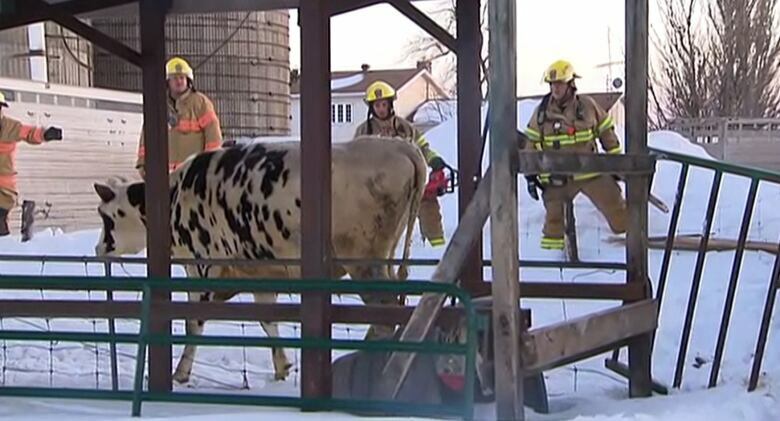 The trap cow was found safe and sound, freed from the rubble by firefighters. 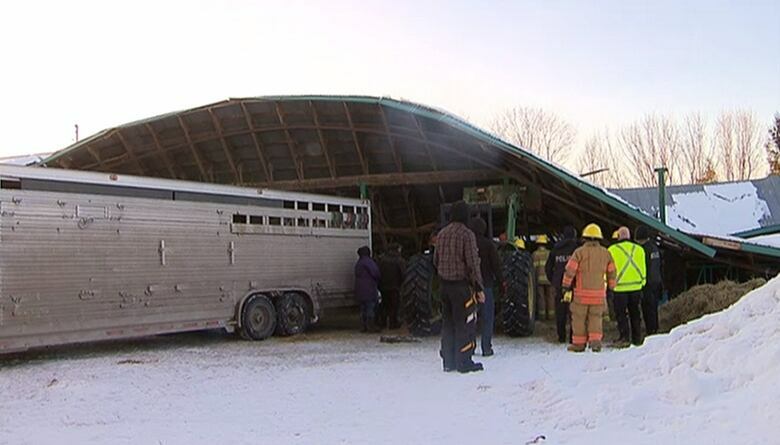 As for the barn, however, it's a total loss and it would cost about $100,000 to build a replacement. "I don't know if I will rebuild," said Castonguay, noting he will have to discuss the situation with his insurance company. Either way, he said on Saturday evening, he still couldn't believe all of his cows survived. "I don't know how they are all alive with not one injured," he said.